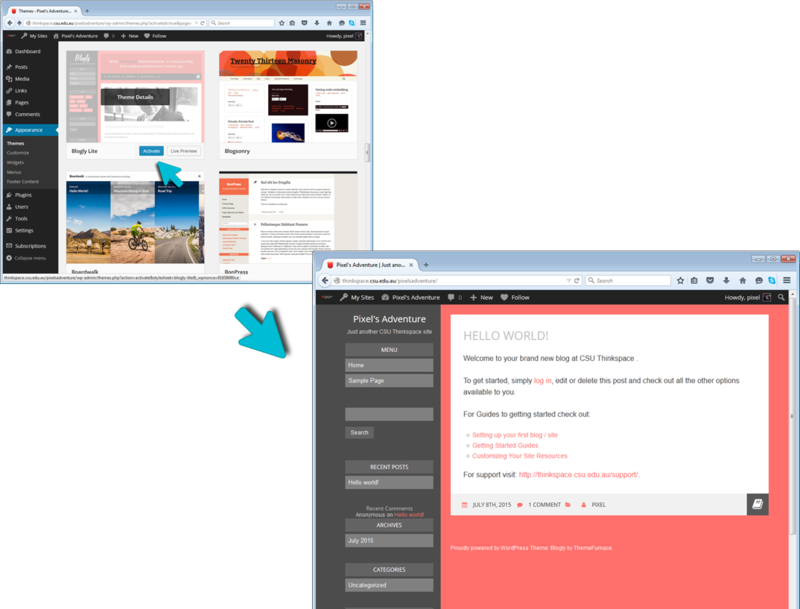 Applying a Theme | Making a Website with Thinkspace! Read the tips below and find a theme to suit you needs! 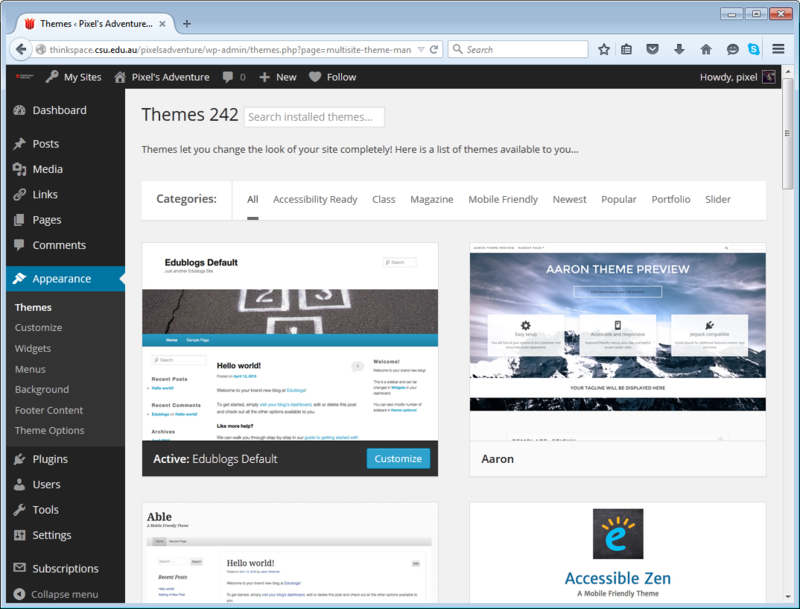 You can choose to use the default theme with customizations to suit your needs, or you may choose to select a theme from the Thinkspace Themes collection. 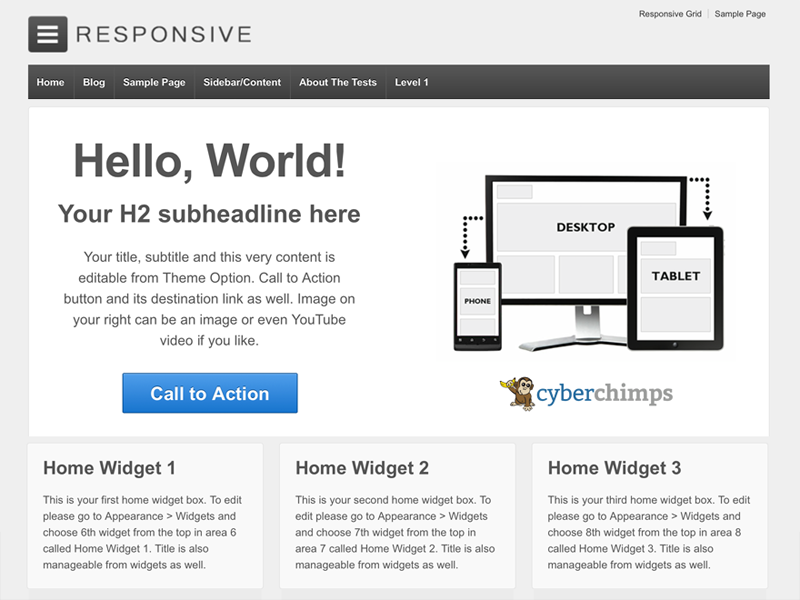 To change your theme, rollover the ‘Appearance’ button in the menu on the left of your dashboard and select ‘Themes’. This takes you to the theme selection screen where you can view the collection of themes available. There are more than 200 theme to choose from. To preview your preferred theme click on the ‘Live Preview’ button. To activate your preferred theme click on the ‘Activate’ button. 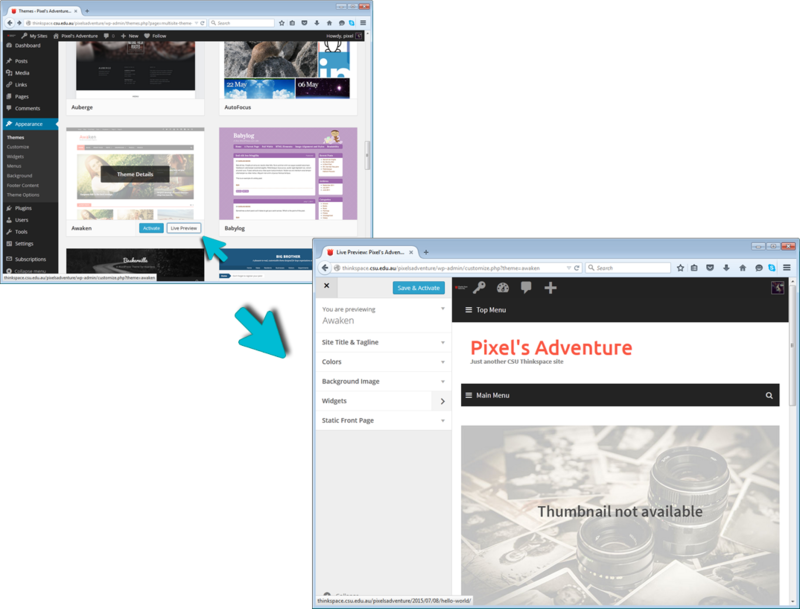 There are many themes in the Thinkspace collection to choose from, however some are designed specifically for blogging, whilst others are a good fit for making a more traditional website. Below are ten suggested themes for use when you are making a website using Thinkspace. 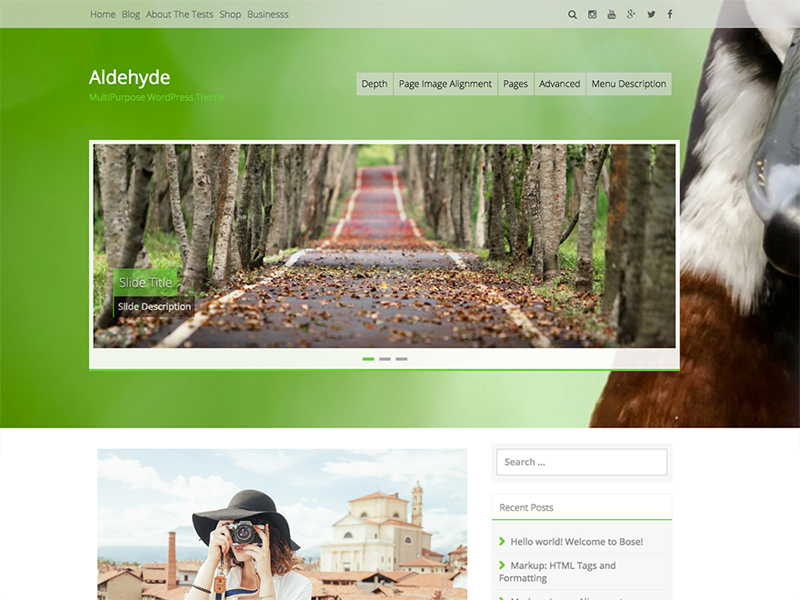 Aldehyde includes lots of inbuilt features including parallax scrolling and animations, social icons, a responsive slider, colour options, web fonts and various layout options. Advanced users can customize some CSS elements. 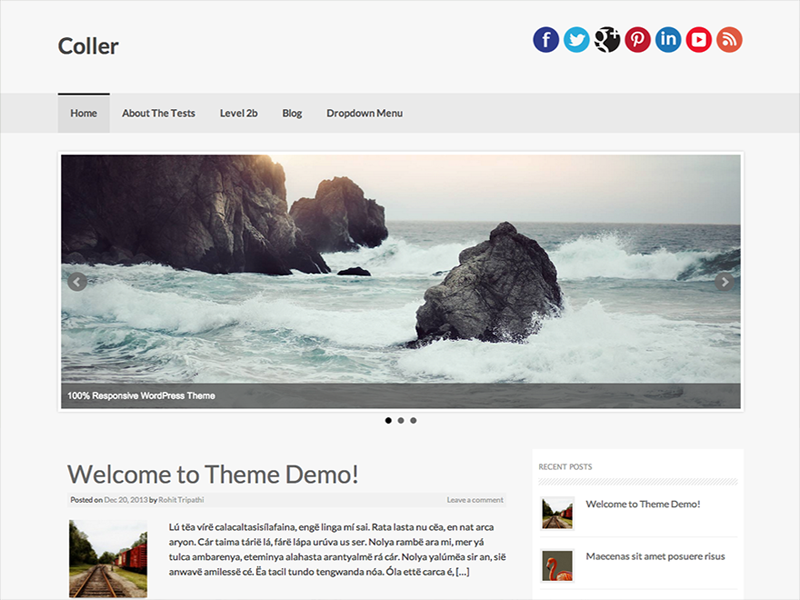 The Coller theme has a minimalistic feel and includes lots of great features including Slider tools, customizable header and footer, custom widgets and various page templates. 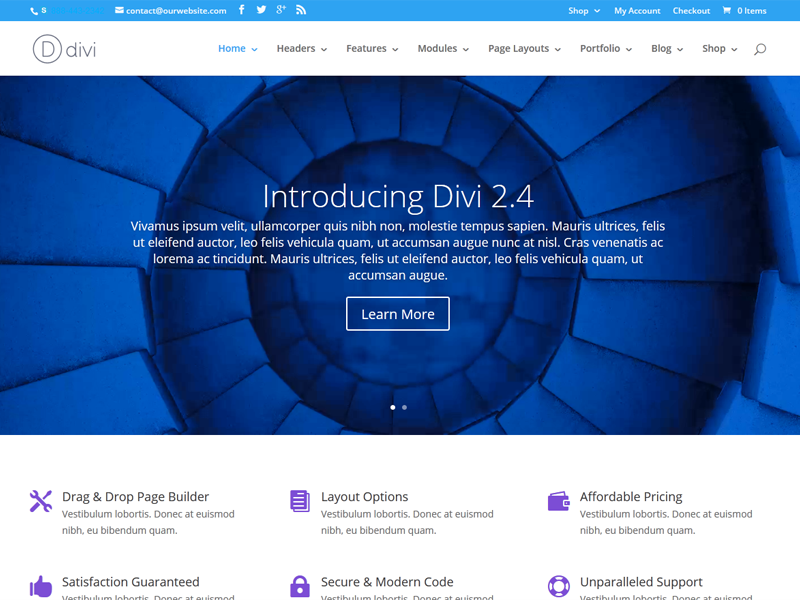 Divi is an extremely flexible theme with a range of advanced options including sliders, cuztomizable colours and fonts and various layout options. The Divi theme includes advanced publishing tools which allow you to create individual layouts for every page on your site. 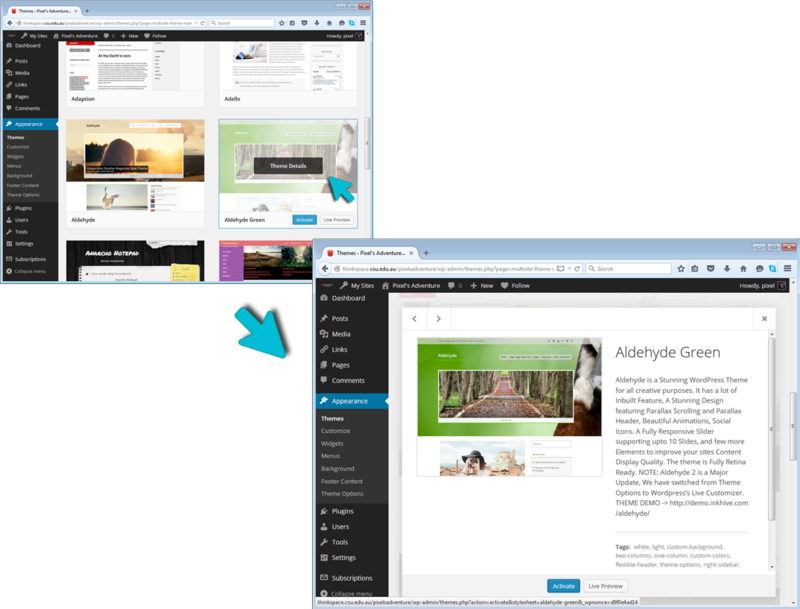 Advanced users can customize CSS and various other features. 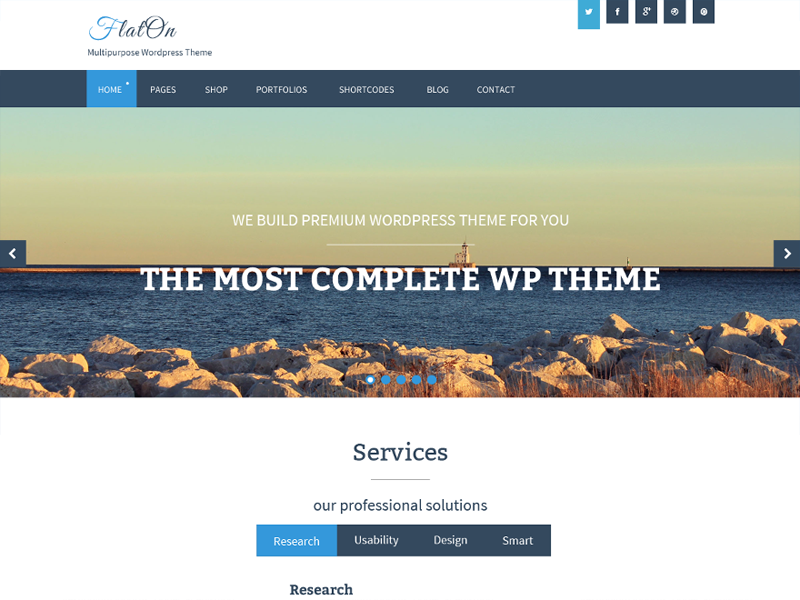 The FlatOn theme has a range of advanced options including custom headers and fonts, colour schemes, sliders and homepage layout tools. Look for the special Theme Options menu item on your dashboard (when installed) for further info. 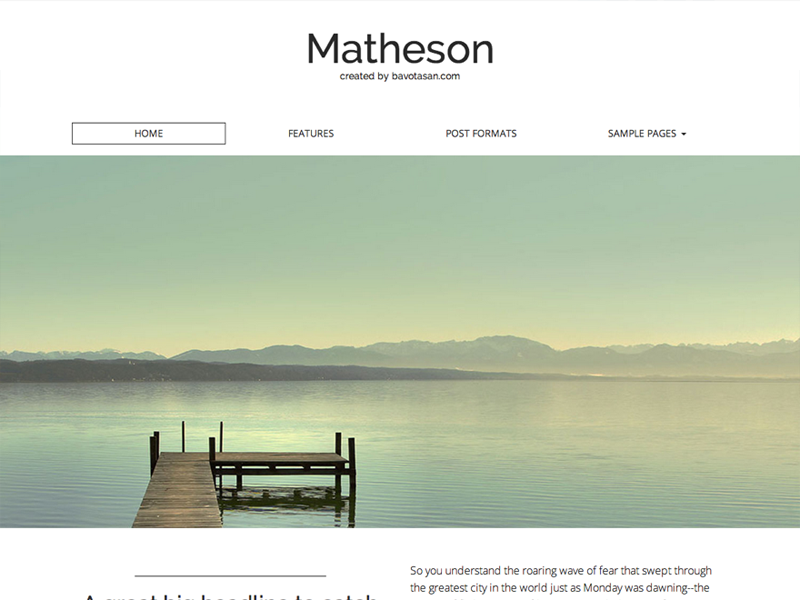 Matheson is a clean looking theme which allows you to add your own background, page layout, site width and more. Distinguish each post with one of the eight supported post formats, such as: Video, Image, Aside, Status, Audio, Quote, Link and Gallery. 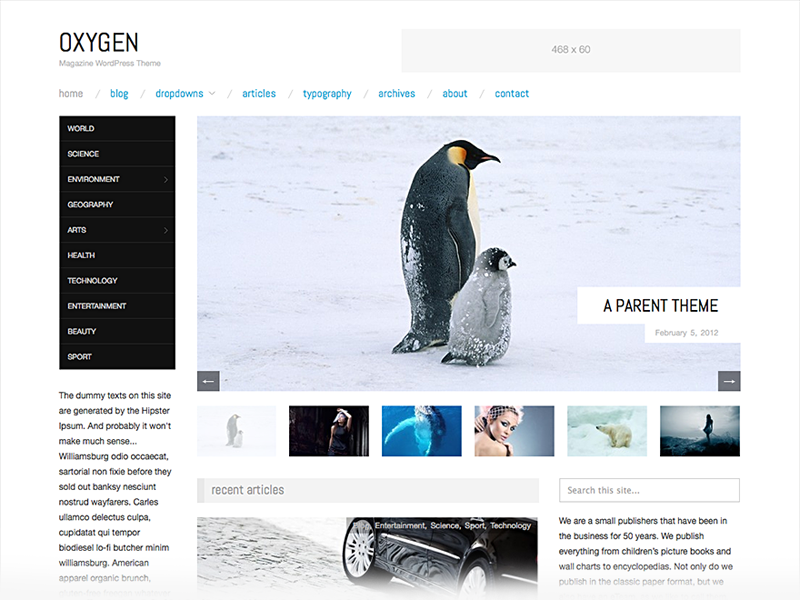 Oxygen is a minimalistic, magazine theme Main features include a featured content slider, custom front page template, 5 widget areas, and 3 menus. 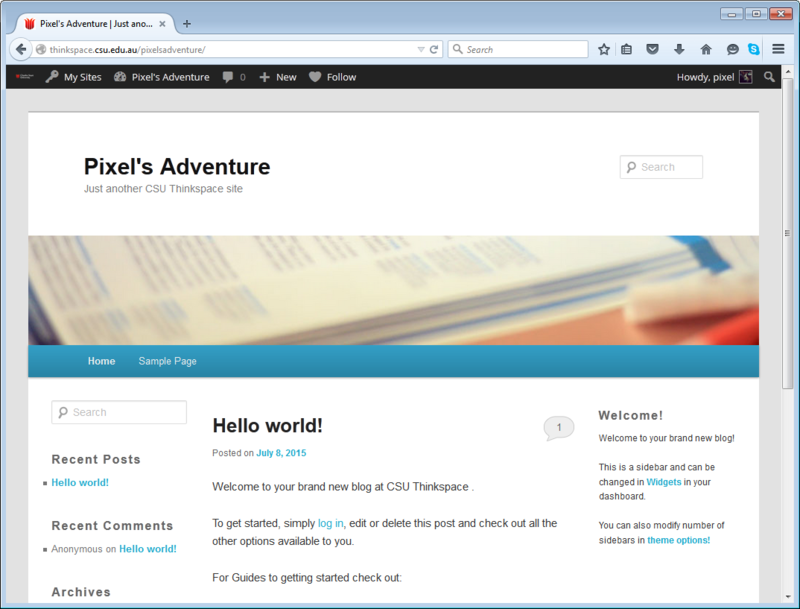 Allows for custom fonts, colours and header and background images. 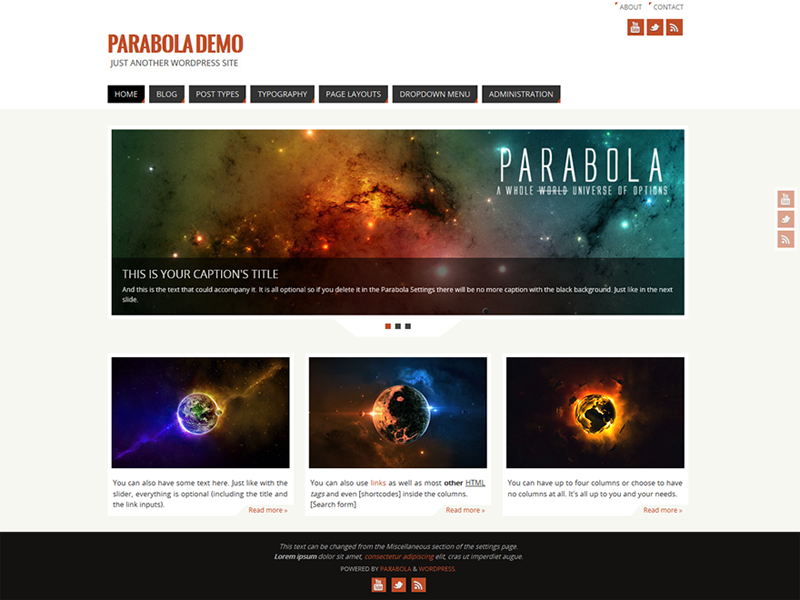 Parabola is an advanced theme with a wide range of customization options including various layouts, header and background artwork, fonts, colour schemes, featured images and social media icons. View the Appearance > Parabola Settings option in your dashboard menu to view various options. 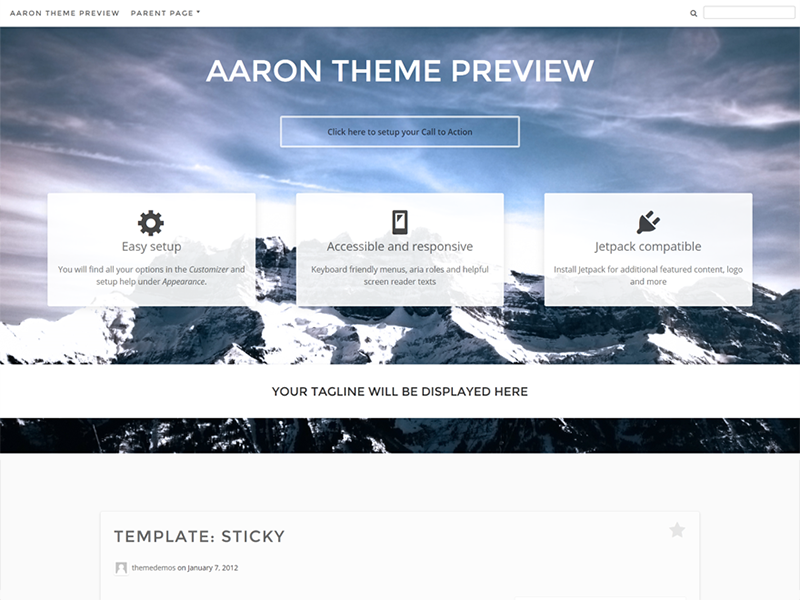 Responsive Theme features 9 Page Templates, 11 Widget Areas, 6 Template Layouts, 4 Menu Positions and various other options including colours and header and background images. 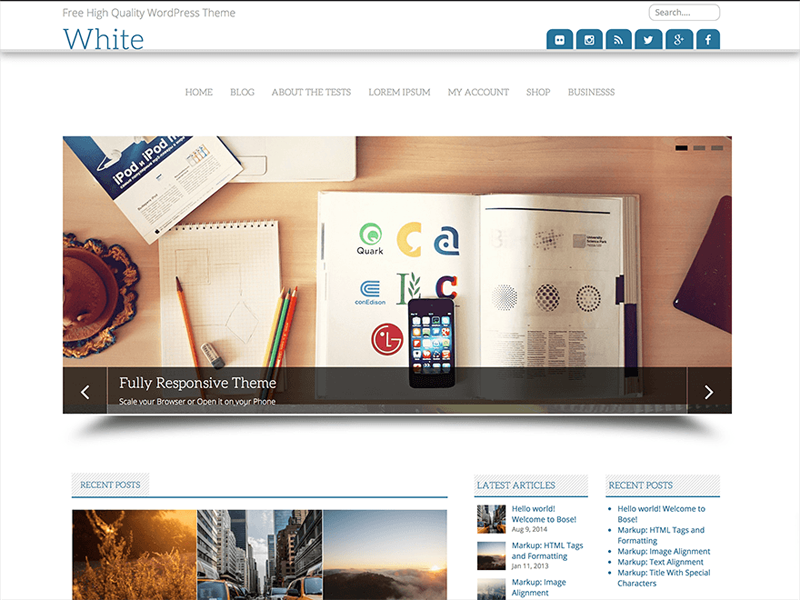 The White theme is extremely flexible and includes multiple page layouts, theme options, responsive slider, grid layout for posts, multiple sidebars, footer widget area, stunning css animations, footer and top navigation menus.